Did you know bamboo can reduce energy costs? Some of our clients have recognized as much as a $60 savings (each month) by planting bamboo near exposed areas of their home. Doing this essentially blocks the cash burning rays of the hot sun with shade providing bamboo. Depending on just how exposed your home is, you could benefit from a real energy savings with as few as 6-7 plants! It will take you roughly just over a year to recoup your initial bamboo costs with a $60 energy savings. 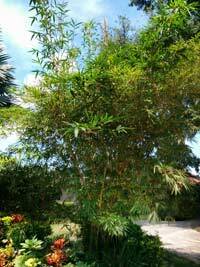 Every house is different, you may not save exactly $60 each month by planting shade bamboo especially during cooler months. You may save more or less depending on where your bamboo plants are located and how energy efficient your home is. You may want to consider situating the bamboo plants so they are both aesthetically pleasing from the inside and outside views of your home. If you are going for pure function over form, try to gauge the times when the most sun energy is hitting the largest area of exposed home. To optimize your bamboo for energy savings, take a long post (10-20′ tall) and walk from the exposed area of your home during the greatest periods of exposure. Simply look where the shade is being cast on your home. This will tell you where you need to plant your bamboo. You can move your plants later but keep in mind this can cause some initial shock and stunt growth so you will want to get it right the first time for maximum effect. Be sure to find the right mix of bamboo plants to ensure you are getting the greatest result. 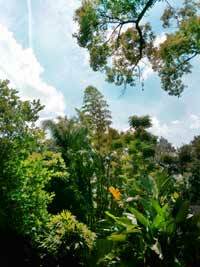 You can see many of our plants heights and characteristics by clicking here. Click here for even more tips to save on your home and business energy costs.